This article explains how to setup an Android device and connect it to a computer so that the device may be used to run and debug Xamarin.Android applications. 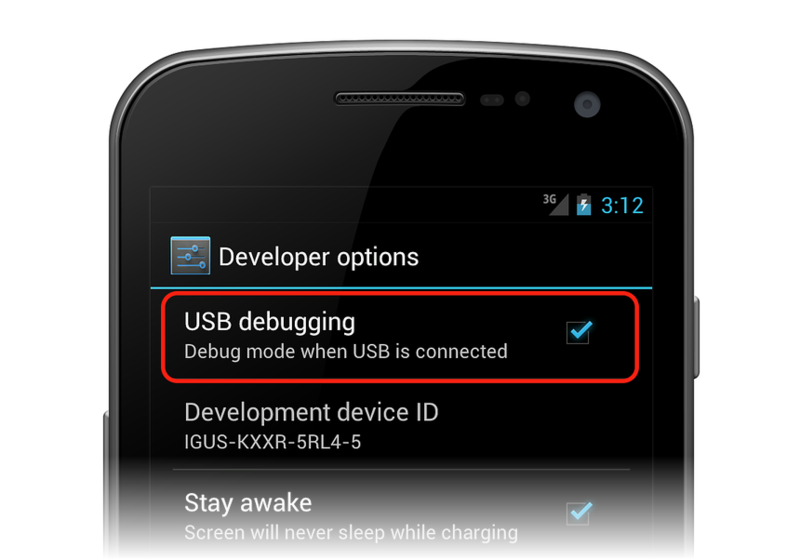 Enable Debugging on the Device - By default, it will not be possible to debug applications on a Android device. Install USB Drivers - This step is not necessary for macOS computers. Windows computers may require the installation of USB drivers. Connect the Device to the Computer - The final step involves connecting the device to the computer by either USB or WiFi. Each of these steps will be covered in more detail in the sections below. It is possible to use any Android device to test an Android application. However the device must be properly configured before debugging can occur. The steps involved are slightly different, depending on the version of Android running on the device. Go to the Settings screen. Check off the USB debugging option. This is the place to enable developer options such as USB debugging and stay awake mode. This step is not necessary for macOS, just connect the device to the Mac with a USB cable. It may be necessary to install some extra drivers before a Windows computer will recognize an Android device connected by USB. These are the steps to set up a Google Nexus device and are provided as a reference. Steps for your specific device may vary, but will follow a similar pattern. Search the internet for your device if you have trouble. 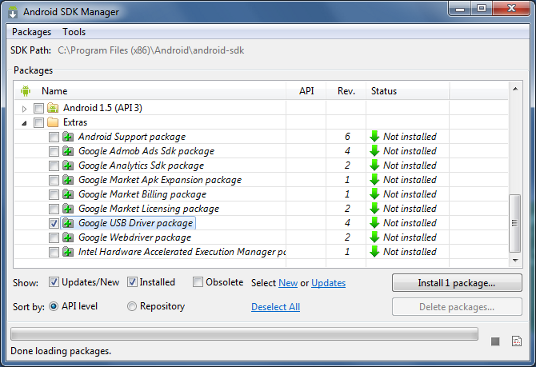 Google Nexus devices (with the exception of the Galaxy Nexus) require the Google USB Driver. 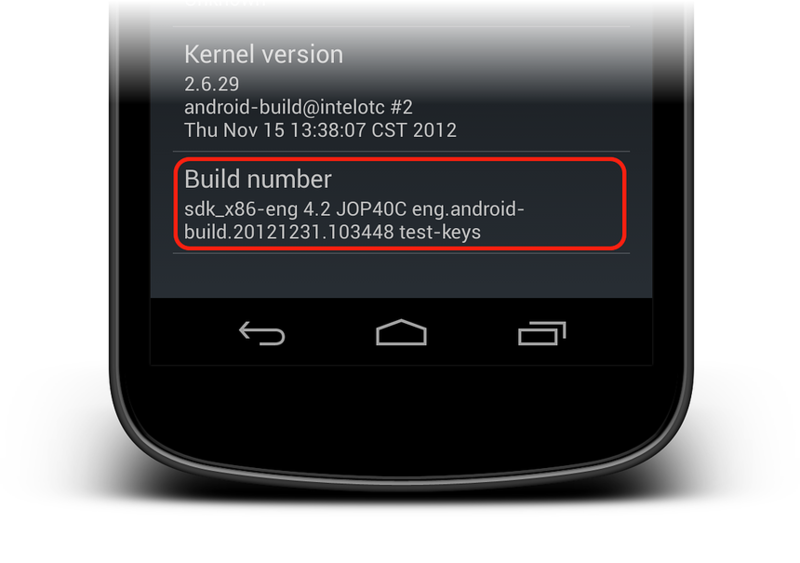 The driver for the Galaxy Nexus is distributed by Samsung. All other Android devices should use the USB driver from their respective manufacturer. Right-click on the Computer from your desktop or Windows Explorer, and select Manage . Locate and expand Other Devices in the right pane. Right-click the device name and select Update Driver Software . This will launch the Hardware Update Wizard. Select Browse my computer for driver software and click Next . Click Browse and locate the USB driver folder (the Google USB driver is located in [Android SDK install path]\extras\google\usb_driver). Start Device Manager - Run devmgmt.msc; you should see your device listed with a yellow triangle over it. Install the Device Drivers - Install the device drivers as described above. USB cable - This is the easiest and most common way. Just plug the USB cable into the device and then into the computer. WiFi - It is possible to connect an Android device to a computer without using a USB cable, over WiFi. This technique requires a bit more effort but could be useful when the device is too far from the computer to remain constantly plugged-in via cable. Connecting via WiFi will be covered in the next section. 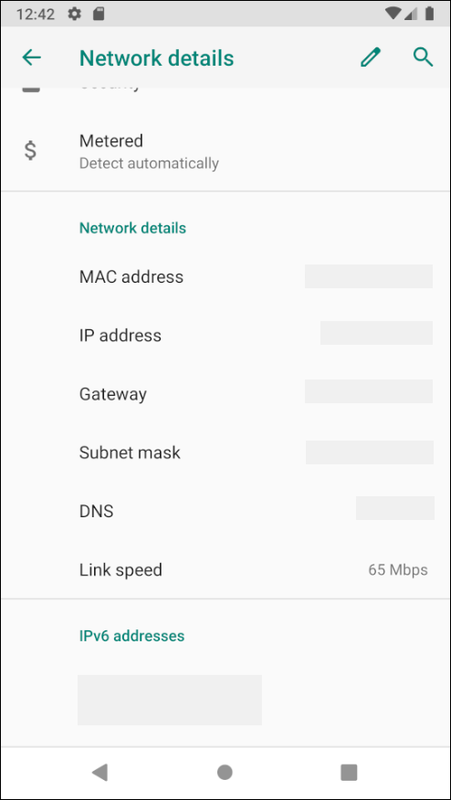 On some versions of Android the IP address won't be listed there but can be found instead under Settings > About phone > Status. Connect your Android device to your computer via USB. After this command is issued, your computer will not be able to listen to devices that are connected via USB. Disconnect the USB cable connecting your device to your computer. Once this command finished the Android device is connected to the computer via WiFi. 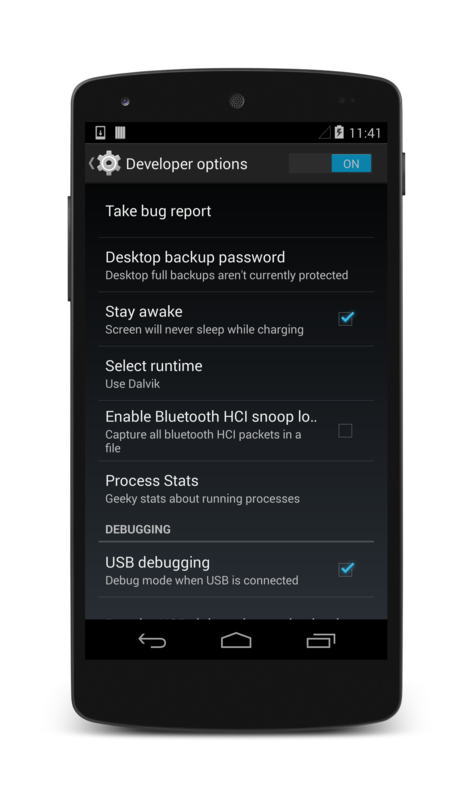 This article discussed how to configure an Android device for development by enabling debugging on the device. It also covered how to connect the device to a computer using either USB or WiFi.